Description: TSAL006 - Bronze Lion, is one of the many marble statues life size sitting at every street corner as marble statues rome. As one of the best marble statues to date, these marble statues antique are resplendent wonders of a bygone era of Rome’s Coliseums. With intricate arte decoration, this bronzed fine marble creation is one of the few animal statues that still inspire awe. 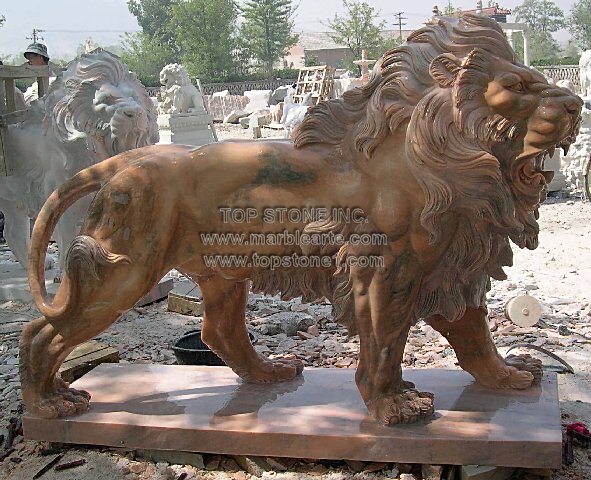 With just one marble statue of a lion, you can take your homes and outdoor space back to the past. Buy marble statues online where the marble statue prices are worth their wild cargo.